And though she be but little she is fierce. Personalized with a name. 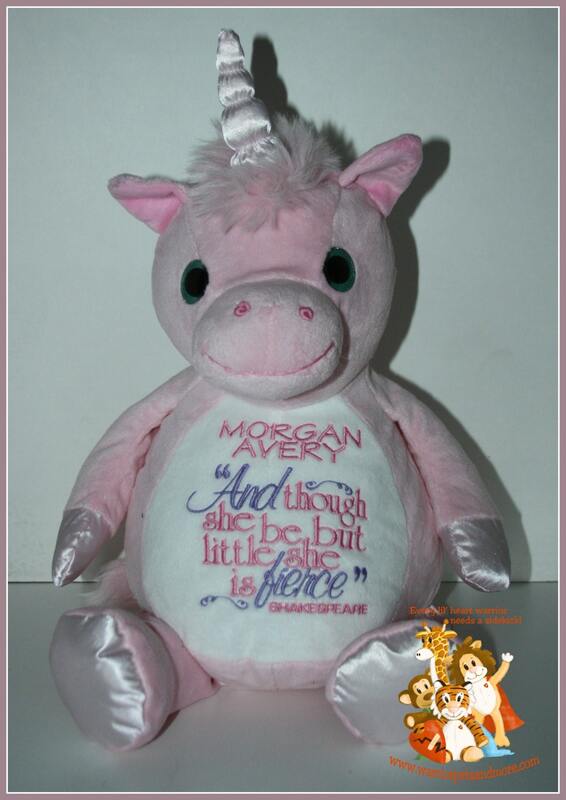 This soft cuddly unicorn is ready to be loved on by that special little girl. Please add the name in the comment box when ordering. Unicorn is also available in lavender.